I have another card to share. I needed some more masculine birthday cards. 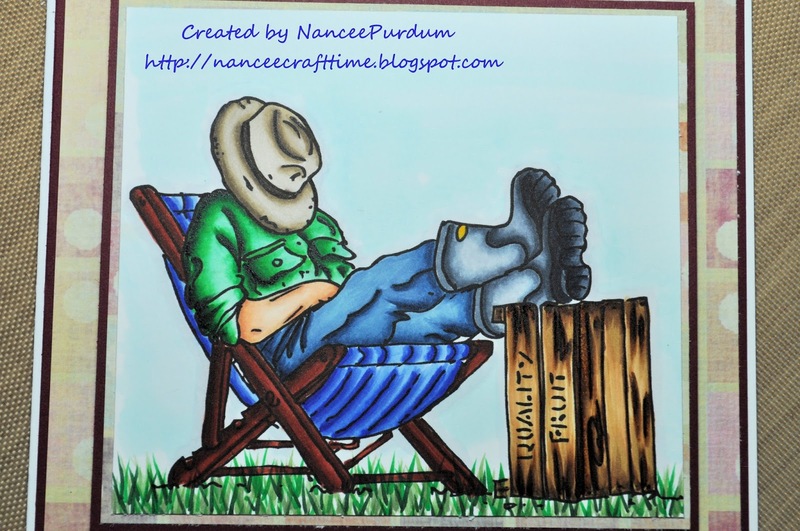 I found this image at Just Ink Lined and thought it would make a great masculine birthday card. I decided to also decorate the inside of the card. 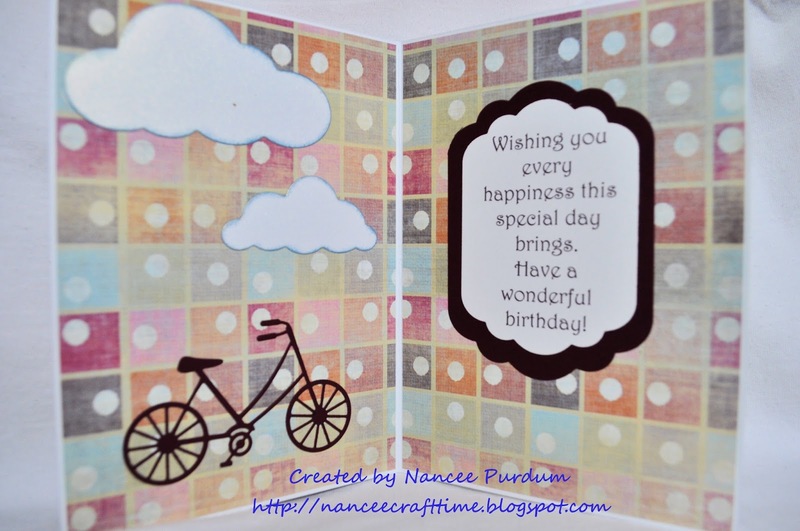 I choose two Memory Box dies that I have had for some time, but never used, Marshmallow Clouds and Brand New Bicycle. 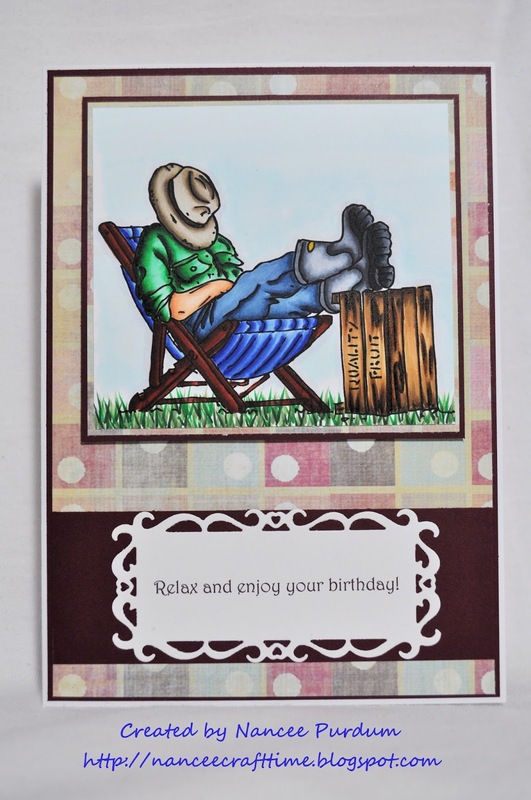 I had some shimmery paper for the clouds and used some Distress Ink to ink around the border. I decided to also use the bicycle die, but leave off the basket and horn to make it appear more masculine. I think I really “dressed up” the inside of the card. I used Copic markers to color the image and then decided to use dimensions to pop it up. 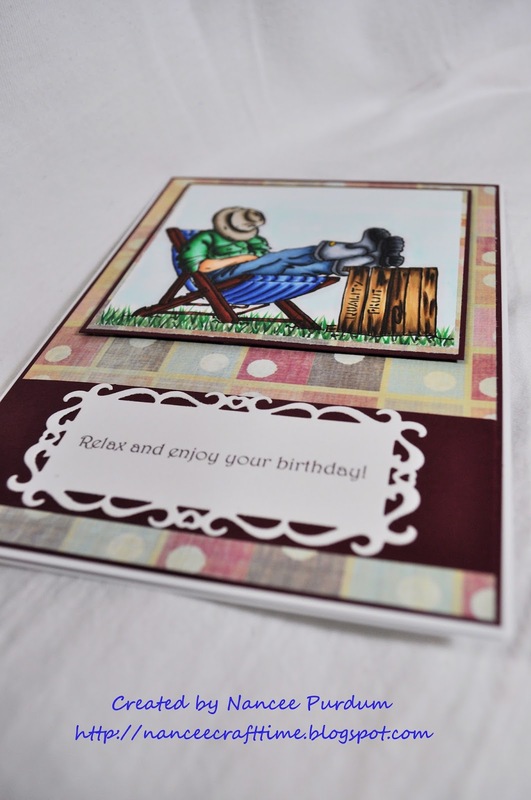 The sentiment is computer generated and then cut out using a Spellbinder die. Great man card! Your coloring is amazing!